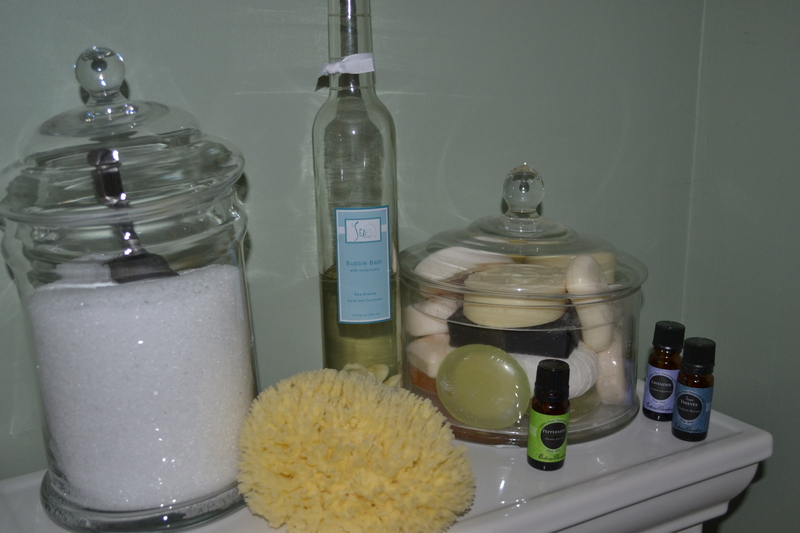 You can take some time for yourself and create a spa at home. All you need is a healthy meal followed by a long soak in the tub. 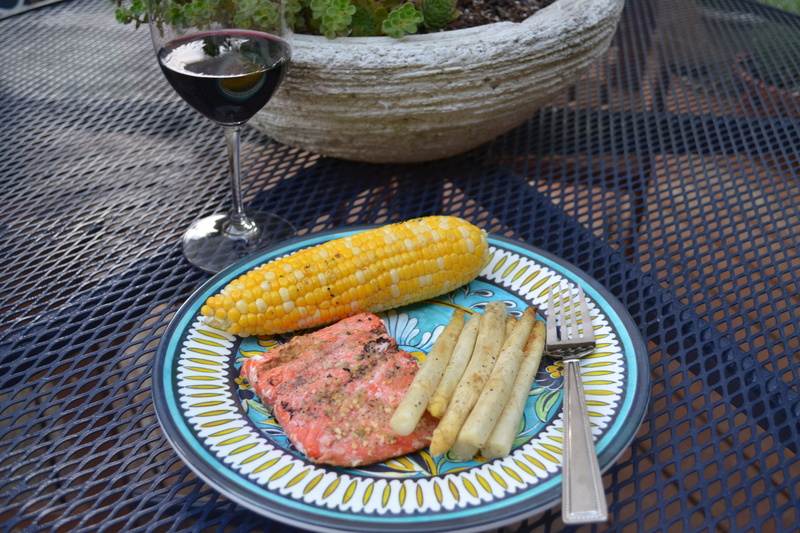 My spa meal of choice is grilled salmon, white asparagus, and sweet corn. Keep your spa meal light but satisfying! This week fall is just beginning to roll in yet the evenings are still warm enough to sit outside and enjoy the sunset. As the sun slipped away, my thoughts turned to a spa evening. 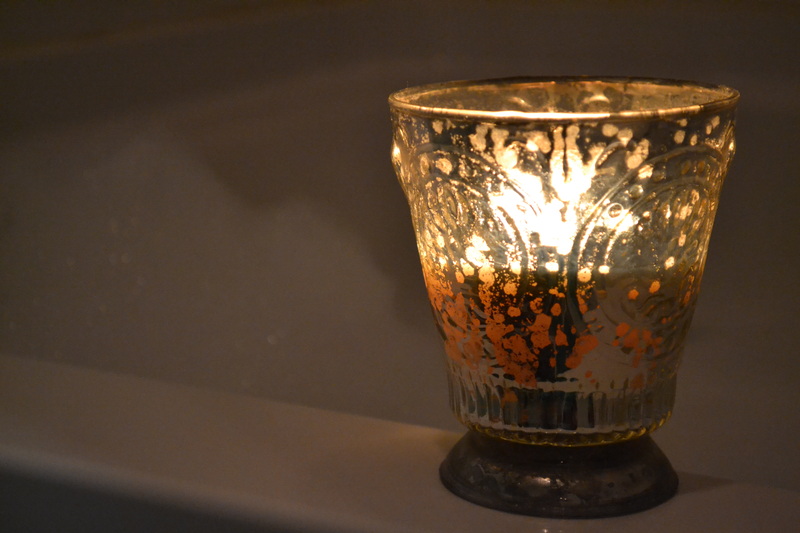 I love to keep spa evenings simple. Good old fashioned epsom salts with some essential oils and bubble bath are all I need. This mixture will relieve aching muscles, help you sleep soundly, and awake completely restored. You can purchase epsom salts at any drugstore and specialty markets, like Whole Foods, carry essential oils. I prefer to purchase essential oils online from Edens Garden. 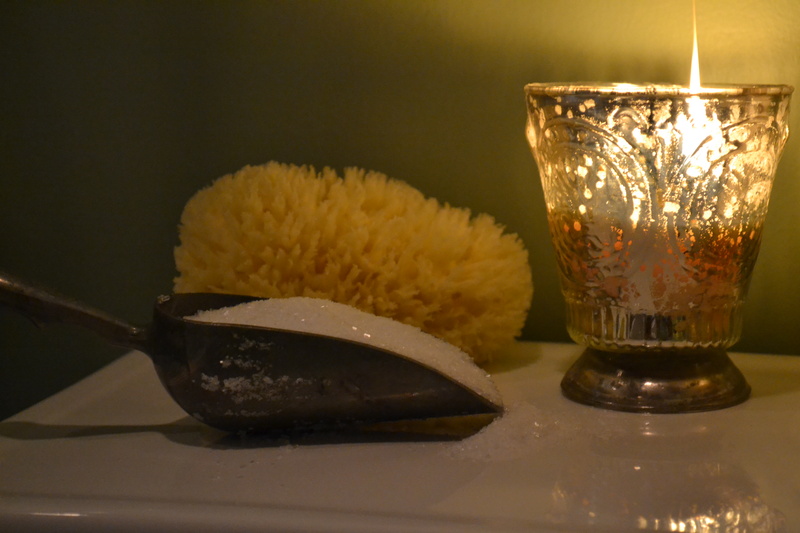 Hostess Tip: Clean the bathroom the day of your spa treatment. A newly cleaned tub makes the experience more refreshing. 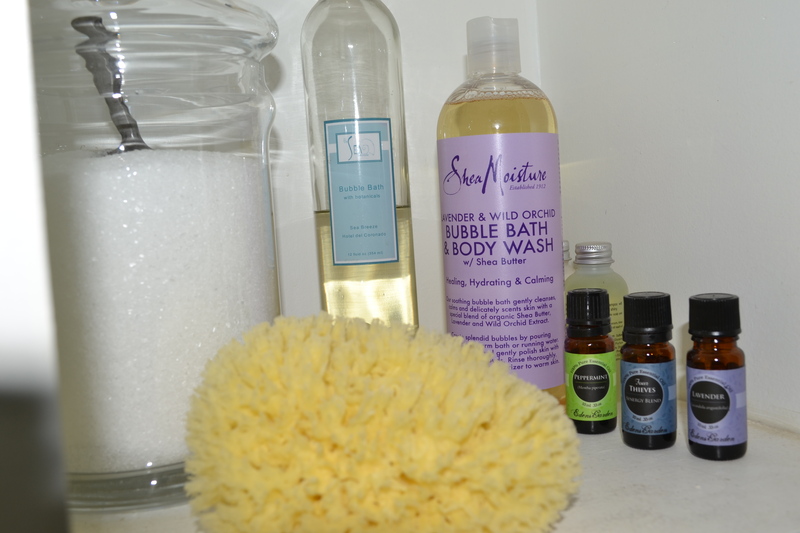 For my soaking bath cocktail, I pour 3 scoops of epsom salts, a generous amount of bubble bath, and 10 drops each of peppermint, lavender, and four thieves essential oils into hot running water. You want to get the water as warm as you can comfortably stand it and make sure to have plenty of cool water available to hydrate. 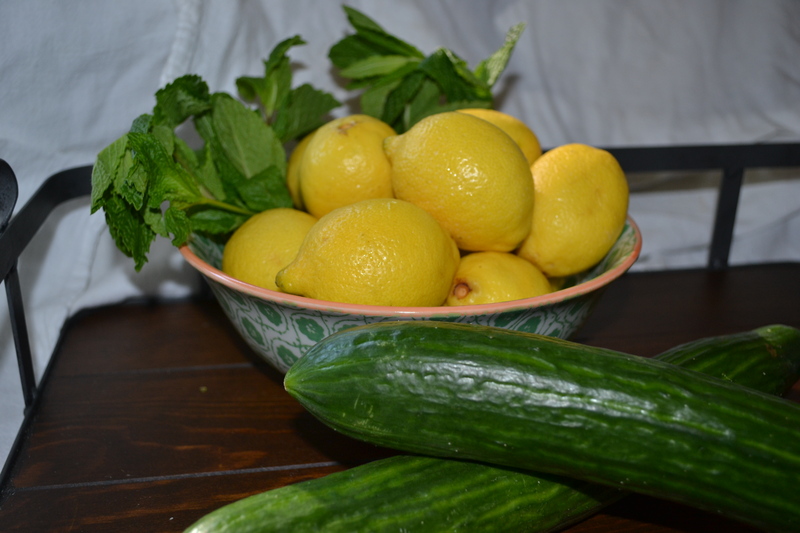 Hostess Tip: Make some infused water by slicing up a cucumber and a lemon then throw in a handful of mint leaves. 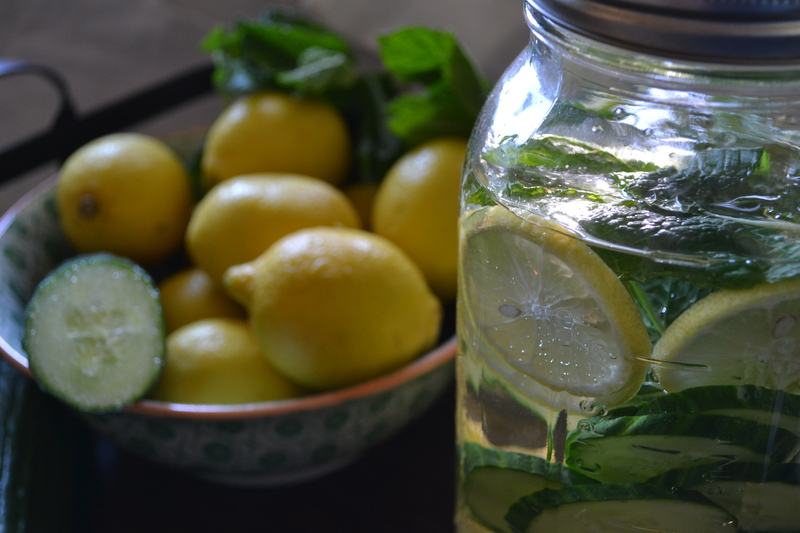 Combine all in an extra large mason jar and top off with water. Refrigerate for at least and hour. Before you get into the tub, put on some relaxing music. Also, a good way to make it feel like a real spa experience, put on a mask before you sink into the tub or give yourself a pedicure after your bath. After such pampering you will greet Monday morning with a new sense of purpose. 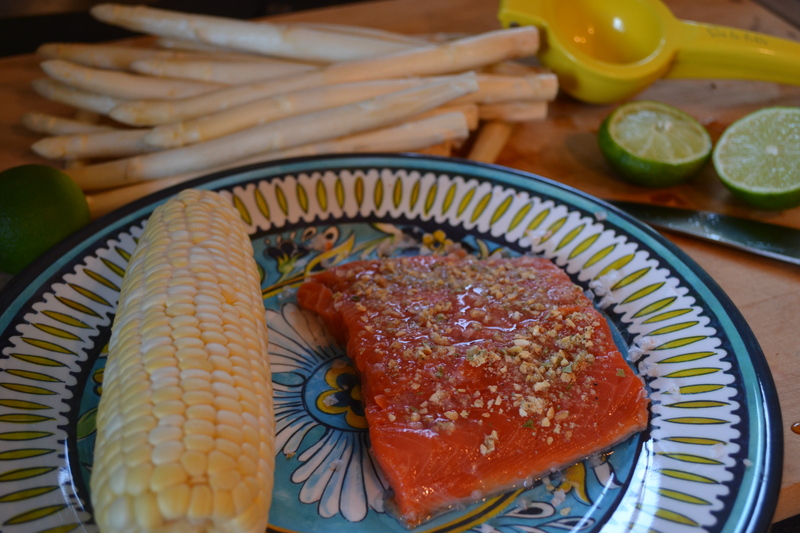 Sprinkle favorite seasonings over piece of salmon. Squeeze lime over fish and place on heated grill skin side down for 6 minutes. Flip the salmon for 6 additional minutes. 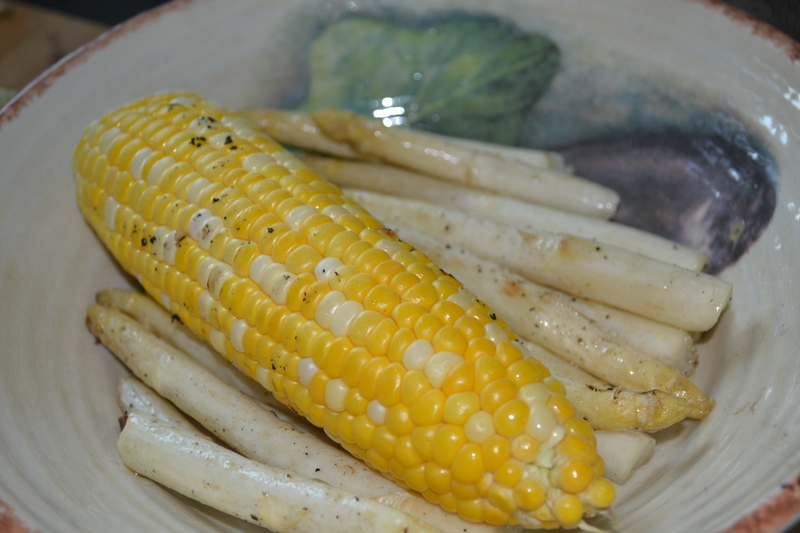 Brush avocado oil over all sides of the corn and place on the heated grill for 8 minutes, periodically turning. Wash asparagus and break off ends. Toss in mixing bowl with avocado oil, salt, and pepper until fully coated. 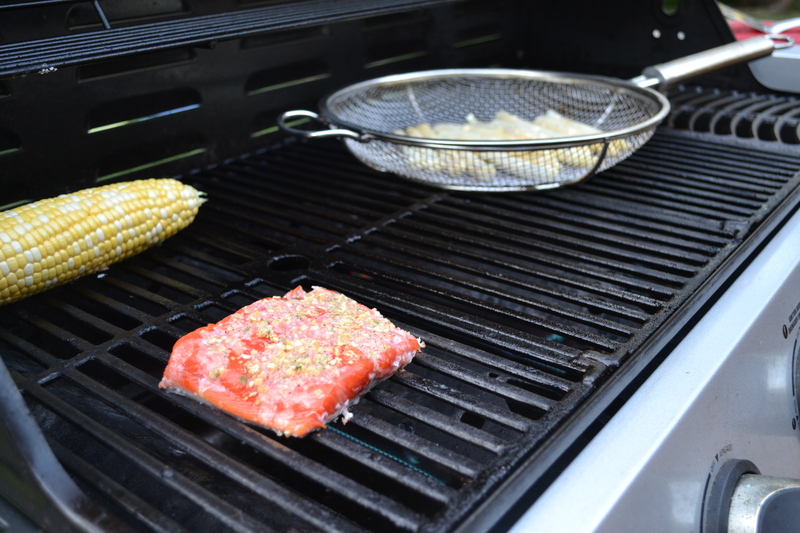 Place in grilling basket, or directly on grill, for 10-12 minutes tossing periodically. Transfer all ingredients directly to your plate and enjoy! Hostess Tip: If you are just cooking for yourself save the hassle of washing extra dishes by skipping serving platters.